Sierra Leone's dealings with other countries both inside and outside Africa has always constituted its foreign policy. In many ways, Sierra Leone has benefited immensely from the implementation of its foreign policy and some of the benefits are listed and discussed below. One of the advantages of Sierra Leone’s foreign policy drive is that the country has gained legitimacy and international representation in diplomatic and international circles. Also it has allowed the country to be able to collaborate with international financial institutions like the African Development Band, the International Monetary fund and the World Bank for necessary financial capital to be injected into the economy. Another advantage of the country’s foreign policy efforts is that it has helped Sierra Leone to ensure stability within their borders. 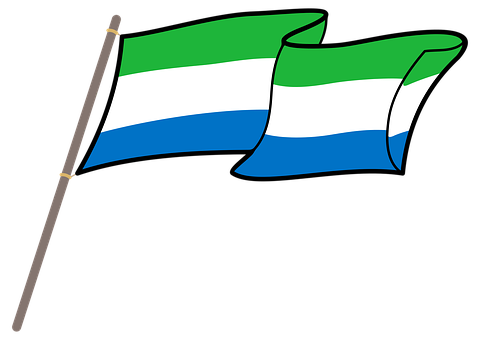 Sierra Leone is a signatory to many international treaties and is in the forefront in the promotion of international cooperation and the respect for the sovereignty and territorial integrity of other states. Sierra Leone prefers to settle international issues through negotiations and arbitration and this has led to stability in the country. Also, Sierra Leone’s foreign policy strategy has helped the country to maintain the support of international financial institutions like the African Development bank, the International Monetary fund and the World Bank. These institutions have been very helpful during and after the Civil War in Sierra Leone and during the outbreak of Ebola. Through its foreign policy initiative, Sierra Leone became a signatory to a lot of international treaties concerning women and children in addition to those on human rights. With this, Sierra Leone has been able not only to promote the protection of its citizens but also to actually protect them in deed, especially the women and children. Sierra Leone has signed bilateral treaties with other countries and also with international bodies like JICA, USAID, UKAID and so on. These bilateral relationships have led to the implementation of many projects in Sierra Leone. For example, between May 11th 2008 and May 10th 2011, the Japanese International Cooperation Agency successfully implemented a project to strengthen the Health Management system in Kambia District. Again, Sierra Leone, being a member of the United Nations, the African Union, the Economic Community of West African States (ECOWAS), the World Bank and the International Monetary Fund (IMF), has created a platform for the country to demonstrate to the world that it is committed to its democratic principles. It also uses the same platform to share with the lager world how their government plans to continue to be on the path of sustainable growth.